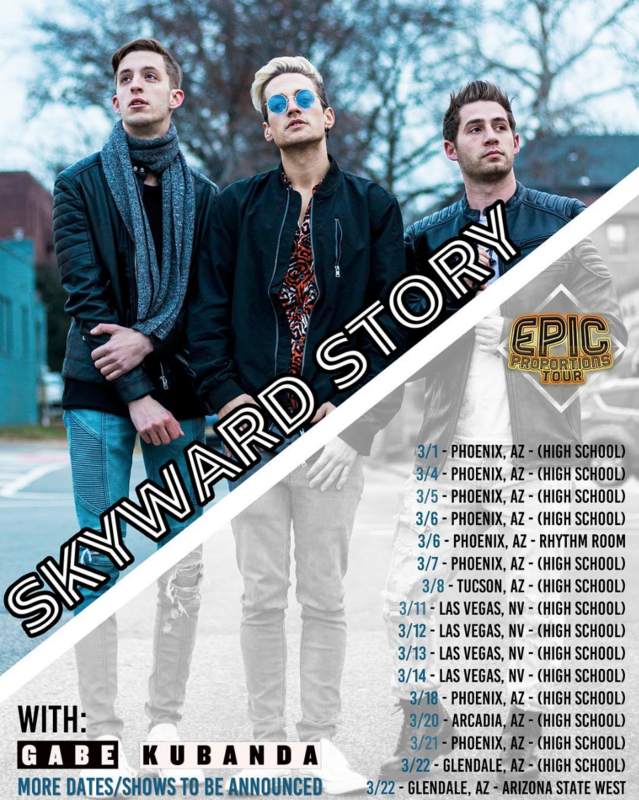 Following the release of their debut album, Reborn, pop-punk band Skyward Story is hitting the road. In the past year, they've toured with The Ones You Forgot, Rookie of the Year, and Vans Warped Tour. Even while they're on the road, Aaron O'Connor (vocals), Scott Montgomery (guitar), and Brandon Millman (drums) are still working on new music for their dedicated fans. Catch Skyward Story on their West Coast Tour this March! 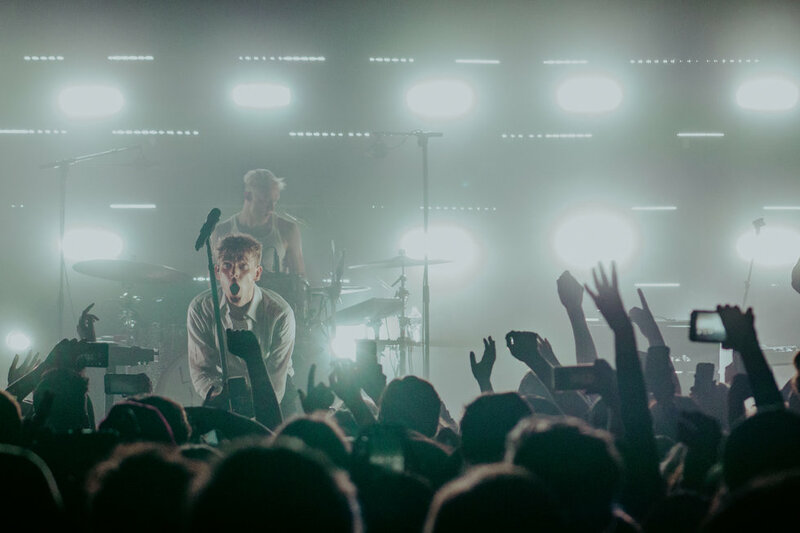 If they're not playing near you, you can request a show here. 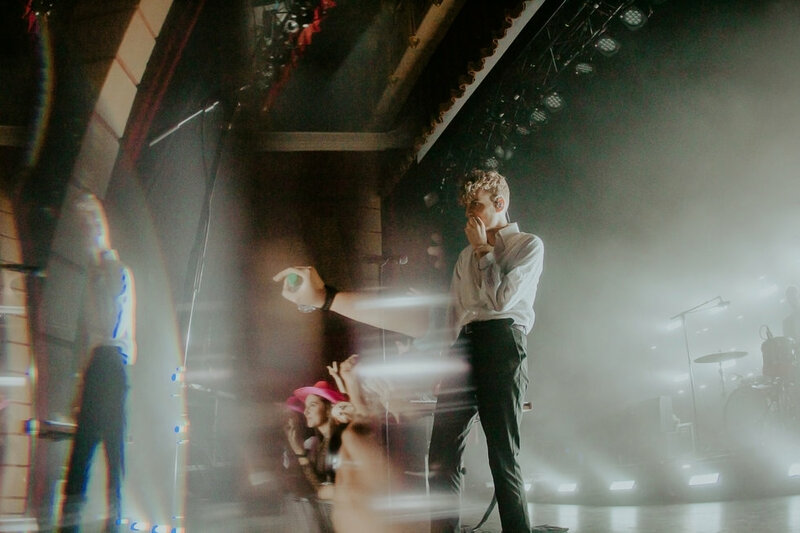 Vocalist Aaron O'Connor gave us the inside scoop on Reborn and on what a Skyward Story tour is like. Odyssey: You guys worked with Matt Squire, producer for Panic! At the Disco, One Direction, and more. What was it like to work with him? That must've been a really neat experience. Aaron O'Connor: He's a really chill to work with. He really pointed us in the right direction – it was a nice process. We didn't feel at any point that we were overstepping our bounds with him. He's more like a friend than a producer. O: How did you guys get in contact with him? AO: Before I was in the band, Scott [Montgomery] and Brandon [Millman] were doing some sort of showcase. I'm not exactly sure the details, but Matt was at that showcase and saw them play and thought that they had what it takes to be produced by him. So, they talked to him after the show, and then next thing you know, Reborn is getting made. O: What made you release the singles from Reborn in the order that you did? AO: Well, "Hey!" kind of sets the tone from what the older music under the other name [3PM] sounded like versus what we're trying to go for in terms of new music. And also it's called "Hey!" So it was kind of our way of saying hello, new music. And then the other singles we kind of just picked on our own because we all liked the songs equally. We had our choices for which ones we thought were the better ones. We did a whole campaign around "Smile" actually. I think that really boosted its listeners. O: Tell me more about the "Smile" campaign! AO: So we printed out a bunch of sheets that say "What Makes You Smile?" And we were having fans write down what makes them smile on the sheet of paper and then sending it into us. We put the photos together in a collage, and then made a video around the song. It's basically a bunch of pictures of fans holding signs saying what makes them smile. And then we went around Baltimore, where we live, and we brought those signs with us. We went up to people on the street and asked them what makes them smile, and we made another video out of it. O: Are you guys excited about touring the album? AO: We're doing a West Coast tour for the full month of March and it's going to be nice. We just toured with Rookie of the Year in December and we toured with The Ones You Forgot in January. O: What would you say are some of the biggest challenges that you guys face if you're going on a tour for an entire month? AO: So, this is actually going to be the longest tour we've done. Sleeping in the van is pretty expected. We don't spend extra money on hotels and stuff just for the simple fact that we don't have it. Eating can be a challenge sometimes too because you don't want to spend all your money on fast food, but, you know, you have to eat. 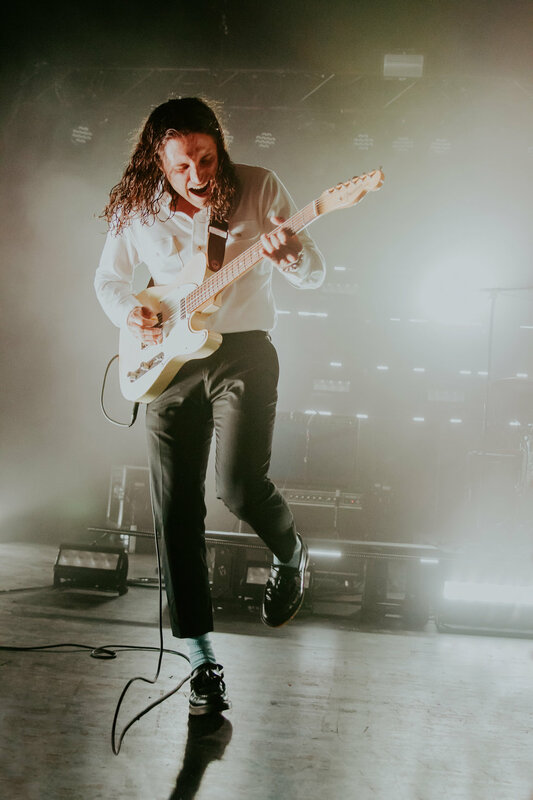 But other than that, we have a pretty good time on tour. I mean, you got to make sure you show up to the venues during loading. Be nice to have a sound guys, be nice to the lighting guys. O: Do you have a favorite memory from touring? AO: The Ones You Forgot were just fun to be around. They're happy-go-lucky. They were keeping everything positive and we were having a great time pretty much every day. We have fans that will bring us a little gifts and stuff, and that's always nice. Having fans at our shows in general is probably my favorite thing. O: You guys are really grateful for your fans. I appreciate that a lot. AO: Yeah! They're great and they're funny. O: What are some examples of funny gifts that you've gotten? AO: They're usually food related because we like to eat. They'll just bring us things that we randomly say on our social media one day. I remember Scott said something about Oreos, and then at the show the next day, two fans brought him Oreos in the same show. O: That's crazy. I love that. 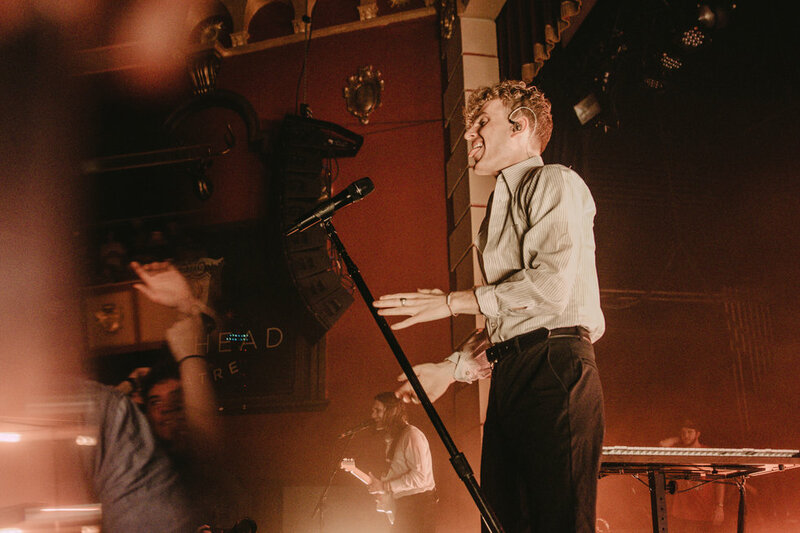 What are you the most excited about for tour? Like seeing your fans and playing the new songs from Reborn? AO: I'm definitely excited to play some of the songs that we haven't played yet. At this point, it's only a couple. We're really just itching to play nothing but new stuff. And I think for the next tour, that's definitely what we're going to be doing. O: What kind of vibes are you mostly drawn towards in music, either in yours or people you look up to? Dead. I'm just a fan of music that makes you feel, and I know it's broad, but you know, you sometimes you'll hear a song and the lyrics are great, but just something about the songs just didn't really sit well. I think the vibe that we want to go for is music that you hear and you're like, "I don't know what it is, but damn, I feel that one in my chest for some reason." We're not going to like take a backseat on lyrics or anything – it'll be paired with that. O: Who was your biggest influence on Reborn? AO: Mine was probably 5 Seconds of Summer. O: Old 5SOS or new 5SOS? AO: Probably old 5SOS. We had been sitting on this album for a long time and our tastes have changed over time. So. 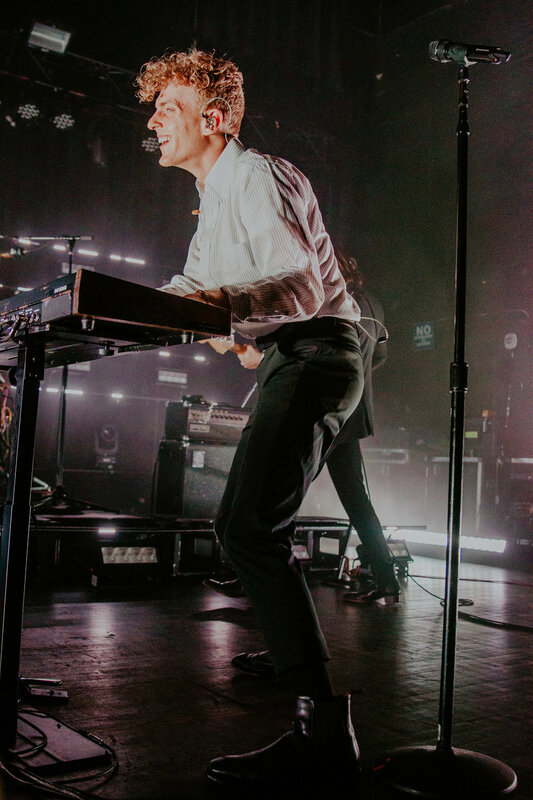 what we wrote then is just like…obviously we love it still, but it's just like a tad different than what our new music's going to sound like. 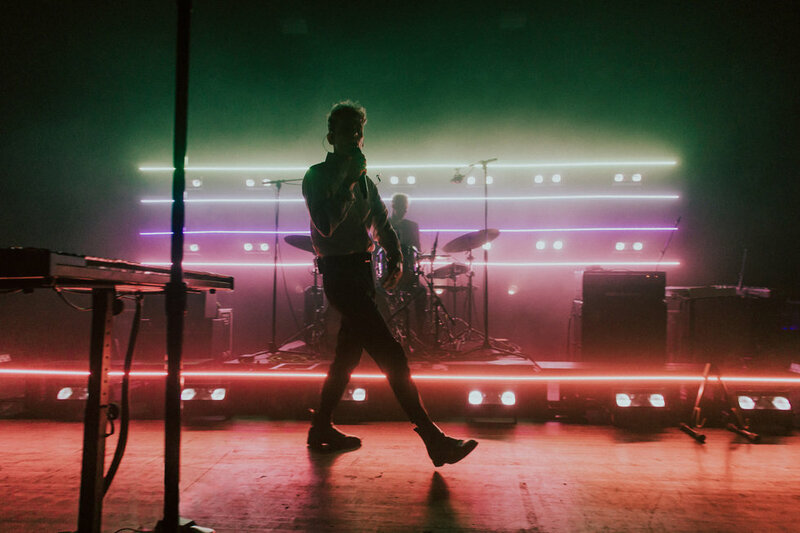 The 1975 is going to be a huge influence to us [for future stuff]. I love Bruno Mars, Charlie Puth, and all of that metal stuff and psychedelic rock. And we have pretty large pop punk influences in our lives. So, I think whatever going forward that we do is going to be pretty interesting. I love Reborn, but I'm ready to keep going! We've been working consistently over the past little while on some new stuff. O: Are you guys the kind of group that never really stops working even after you released something? AO: Oh yeah. There's not really a whole lot of downtime, because there's a lot of backend stuff we do that no one sees or even thinks about. And then we have even more work to do because when we released that stuff, we've got to talk about it and make sure people don't forget about it – we've got to hype it up. It's just kind of an endless stream of work. I love it. O: If there was one thing that you wanted your fans to take away from the album, whether it be lyrically or vibey or just conceptually, what would that be? AO: We definitely wrote it with the intent of the listener. I would want the listener to take away, you know, that that things can be bad, but you've just got to keep smiling on through it – hence the song "Smile." You've got to keep trucking along, because you're going to run into a lot of obstacles in your life. But if you let those obstacles overcome you, then that's when things started going bad. But look at us! I mean, things go wrong for us left and right behind the scenes, but we are still here. And we are going to keep writing music for you.